Black Friday shopping has a long history of shoppers rushing to their favorite stores to take advantage of the best deals of the year. It is the day most people start their holiday shopping. And that means heavy traffic and crowded parking lots. Add cold and wintery weather into the mix and it could equal a pretty stressful day. Now imagine every weekend leading up to your holiday a repeat of the same thing. But why deal with all that trouble? Sit back, relax, and arrive safely in a warm car, dropped off curbside at the location your choice. Here are the reasons to call a taxi for holiday shopping. Here in Annapolis, we support small businesses downtown. For three Thursdays in December, leading up to Christmas, stores remain open later encouraging shoppers to stroll, dine, shop, and be merry throughout the streets of Maryland’s historic capital. It’s Midnight Madness! Call on Annapolis Flyer Cab for safe and reliable transportation to and from the revelry. That way you can enjoy yourself without the worry or danger of getting behind the wheel after a few cocktails. Hire a car service for you and your friends and arrive in style and comfort. Let us know when and where to pick you up at the end of the night. It’s that easy. Plus, you deserve it! We feel if more people called a taxi for holiday shopping there would be a larger number of happier people on the roads and in the stores. Imagine a joyful jaunt to the mall or any of the large retail store chains. Not having to struggle to find parking. Simply arriving, virtually at the front door, calmly stepping out and shopping. Everyone in a good mood, not fighting over items and no injuries. Yes, believe it or not, there have been reported incidences of such occurrences. But if everyone started out their adventure in a good mood, they would be better equipped to handle any disappointment and move on to the next deal! What’s more, contact us when you are checking out and we will be waiting with a nice warm ride as you finish up. Now that’s what we call “zenful” shopping. Further, consider hiring a car service for the day. Or, make a reservation for a scheduled roundtrip ride to and from your destination. Make this year the best yet! Let us handle the driving. Contact Annapolis Flyer Cab today. 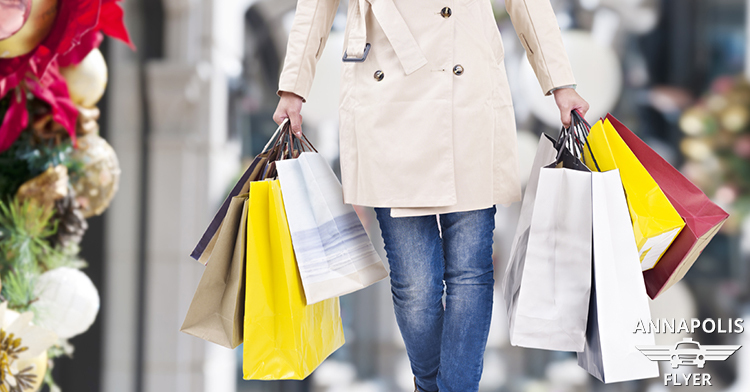 One trip and you will quickly understand the benefits of hiring a taxi for your holiday shopping.